The benefits of yoga in children go far beyond the physical aspects. In this playful class, which integrates inclusive games and Hatha yoga, primary school age children will develop balance, flexibility and coordination, as well as an understanding of dealing with emotions as they come. Children will also be encouraged to work with cooperation and compassion through storytelling and group discussions around basic yogic principles.The session always ends with time for a relaxation which works as a deep reset for the mind, leaving children ready to focus on the rest of their day. This class does not require any special physical abilities. Parents are welcome to stay during the class if they wish, but this is not necessary. Classes will only be run during term time - you can book per class at £5 per child or book a class pass at £25 for 6 classes - if you miss one it will roll over to the next term. Marie-Anne is the owner and founder of Beetroot Sauvage. She became interested in yoga 10 years ago during her first pregnancy, as a way to relax and connect with her body. Having explored different styles and developed a personal daily practice, she undertook a kids yoga teacher certification with Toni Westaway with the aim to bring yoga to her own two sons and other primary school age children. 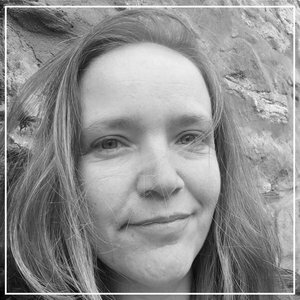 Marie-Anne has been teaching kids yoga classes in Edinburgh since 2017. Marie-Anne teaches Children Yoga on Wednesdays from 15:45 - 16:30 with Beetroot Sauvage Wellness Centre.